Hey dolls! Today I have pictures for you of one of my most wanted polishes from this year. 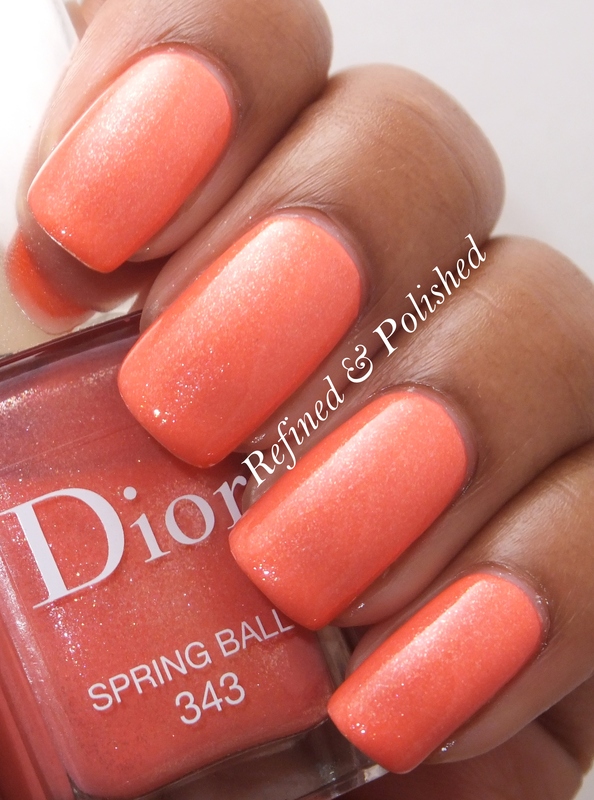 Dior Spring Ball went onto my wish list as soon as I saw it pop up on nail and beauty blogs several months ago. It immediately sold out on Sephora’s website and in stores. I stalked my Sephora for two months waiting for it to show up and it never did. Finally, my girl Lola of Burb Beauty alerted me that it was back in stock on Sephora’s website two weeks ago. No buy immediately broken! 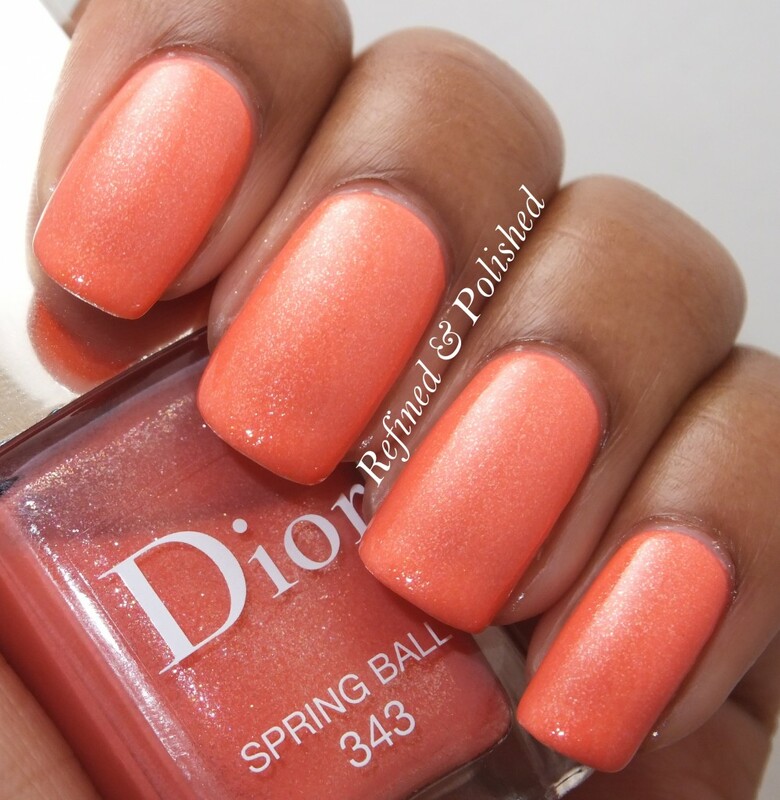 Spring Ball is a gorgeous orange leaning coral that is packed with golden shimmer. The formula was easy to use, but a little on the sheer side. I used three coats for opacity. Two would’ve been fine if my nails weren’t so long (I recently trimmed them down). Spring Ball is such a gorgeous color! I will say that at first I was a little disappointed because it does not look the same on me as it does on some of my favorite bloggers. I think my darker skin pulls out more of the orange undertones, so it doesn’t look as peachy on me. After getting over the initial disappointment, I realized that I still really like Spring Ball and I wore it for several days. I will never get tired of coral polishes, nor pairing coral with turquoise (see inspiration board below).